Location is perfect, 1 min walk to the beach. Easy to find. Neighbourhood is quite. 5-mins walk to resto/shop area. We had 3-bedroom flat. Lots of space for families with kids. Nice balcony. Shower was good. The appartment living space with kitchen had a covered terrace and big windows overlooking the Venezia like channel, the palms and the beach. Fantastic. The check-in and check-out went well. There is a good place to eat on the beach 150 metres from the structure. Fantastic. The bedroom and bathroom were renovated very well. The bathroom was super and the shower excellent. Stayed here for access to the ferry to Menorca. Very nice welcome from the receptionist. The property is extremely clean and very close to a amazing beach. Near to restaurants and markets. Location is amazing. Property has a pool for kids and adults. Quite and tranquil area even in the middle of August. If you don’t mind the age of the room fittings, it’s a perfect place. It was a perfect room which was spacious and comfortable. We can go to the beach on foot by less than 3 minutes so literally we could jumped into the ocean in the morning. There are some shops we could buy alcohols or tobaccos so even we did not worry about the night time. Very helpful staff(we had a lot of bad luck on holiday), amazing location beside beautiful beach, hotel pool nice and quiet, very spacious and comfortable 3 bedroom apartment (although aircon needed looking at a few times but this was addressed immediately), handy local shop less than 5 mins walk. Kids loved it. The location is delightful! There is the most beautiful beach on the island near. Staff is very cool and kind! There is a swimming pool on site. The kitchen has everything you need for cooking yourself, but there are many good cafes nearby. The location is great, very close to the beach. The beach itself was wonderful. Comfy beds in master bedroom. Ample room for parking. Nice garden with pool and showers. Great location 2 minutes by walk from beach. Great personal, very accommodating. I recomend this appartments. Lock in a great price for Venecia Apartments – rated 8.4 by recent guests! Venecia Apartments This rating is a reflection of how the property compares to the industry standard when it comes to price, facilities and services available. It's based on a self-evaluation by the property. Use this rating to help choose your stay! One of our top picks in Port d'Alcudia.Venecia apartments are located in a quiet area of Alcudia, 2 minutes’ walk from the beach. Set within gardens, these apartments feature 2 outdoor pools surrounded by a sun terrace and free Wi-Fi throughout. All air-conditioned apartments at Venecia feature satellite TV and a private terrace. They also include a kitchenette with a microwave, fridge-freezer and coffee-making facilities. Shops, bars and restaurants are within 10 minutes' walk. Car rental can be arranged allowing guests to explore Alcudia and its many beautiful beaches, such as Alcanada and Formentor. Staff at reception can provide useful information. 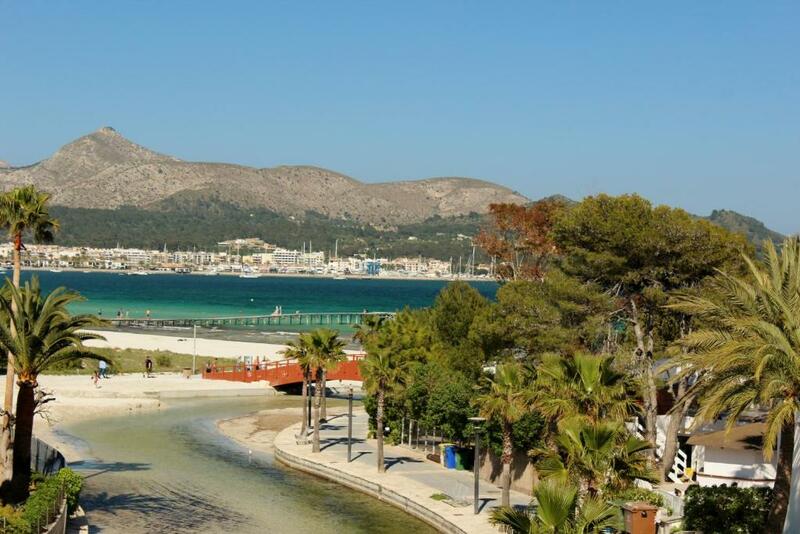 The apartments are 20 minutes’ walk from Alcudia Port, where there are many shops, restaurants and bars. Regular busses to Alcudia run from just outside the complex. 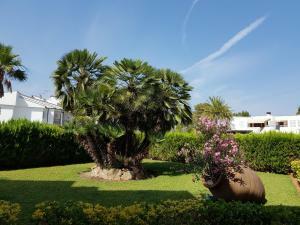 뀐 Located in the top-rated area in Port d'Alcudia, this property has an excellent location score of 9.1! When would you like to stay at Venecia Apartments? These type of rooms are located on the 2nd floor, and have a sofa bed in the living room area. This air-conditioned apartment features 2 twin bedrooms, a double bedroom and a lounge with 2 sofas, satellite TV and a private balcony. The kitchen includes a microwave,oven toaster and coffee maker. These apartments are either located on the ground floor in front of the pool or on the 1st floor. The 1st-floor apartments feature a private balcony. Each apartment has 1 twin bedroom and 2 sofa beds in the living room. The kitchen is equipped with an oven, microwave, and coffee machine. There is also air conditioning and satellite TV. Extra beds or baby cots are available free of charge. Es un establecimiento pequeño y familiar con trato personalizado,esta situado a unos pasos de mar en una zona muy tranquila y residencial. la mayoría de nuestros clientes sueles ser repetidores. pero nos encanta conocer gente nueva. soy una persona dinámica muy activa,me encanta mi trabajo, disfruto hablando con los clientes. cuando termino de trabajar me gusta estar con mi familia y amigos. practicar deporte y llevar una vida sana. 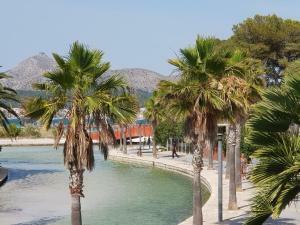 Alcúdia es hoy uno de los municipios más apreciados de Mallorca. Goza de un emplazamiento geográfico privilegiado: situado al nordeste de Mallorca, a 54 Km. de Palma, se encuentra enclavado en una península que separa las bahías de Alcúdia y Pollença. En sus más de 30 Km. de costa se hallan bonitas playas de fina arena,Este paradisíaco lugar no pasó inadvertido a las culturas que han habitado este rincón y cuyo legado hoy se puede contemplar. El Alcúdia de hoy es un lugar apacible, dotado de las más modernas infraestructuras, habitado por gentes muy diversas que forman un entorno tranquilo, ideal para el descanso. House Rules Venecia Apartments takes special requests – add in the next step! Venecia Apartments accepts these cards and reserves the right to temporarily hold an amount prior to arrival. Please let Venecia Apartments know your expected arrival time in advance. You can use the Special Requests box when booking or contact the property. Please also indicate the number of guests that will be staying. Please inform Venecia Apartments of your expected arrival time in advance. You can use the Special Requests box when booking, or contact the property directly using the contact details in your confirmation. The lady there for check-in was very helpful, and it would have been better without her being in a hurry. So I felt I had incomplete information for the apartment. It was the last day open of the season. The place is quite old and faded and in need of modernisation. The bed wasn't very comfortable. Great service, good value, very nice stuff. The property is out dated and looks like it belongs to the 70s. No washing machine, need to use in reception at extra cost. Chemical levels in the pools are to high. The kitchen is a bit outdated. Refrigerator needs to change. It could be better to have a dishwasher and a washing machine for a stay above 4-5 days. There are two split airco, they both need some maintenance. Wash-basin in toilet was blocked after 4 days. It requires some maintenance too. They put lots of chemicals in the swimming pool, you feel it on your skin! I would like them to equip the hairdryer on the room. That is all we wanted more there! Nice, small pool area, everything we needed for cooking, good kitchen. On the last day unfortunately the staff member checking us out didn't speak any English. Very helpful but no English! This could have been a problem if we had needed help. We had to move from one room to another, but it did not darken the rest, we got a discount for the inconvenience. Close to the sea, free parking on the street. Slightly cramped with children's beds in the living room. Interior a bit dated.